The tunnel is a part of the connection between the Helsingør freeway to Østerbro and Nordhavnen in the Danish capital of Copenhagen. The tunnel consists of two tunnel tubes, a total 1250m long and 11 m wide. In connection to the tunnel a technical room is located, containing diesel pumps for the respective watermist system and hydrants. 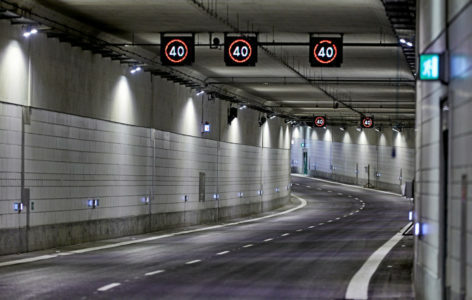 The Copenhagen fire brigade wanted an automatic fixed firefighting solution installed in the tunnels since they did not want to send their fire fighters into the tunnel in case of fires. Further, the tunnel is lying underneath the city with a lot of buildings on top, so the Authorities wanted something which automatically could cool the structure in case of fire. 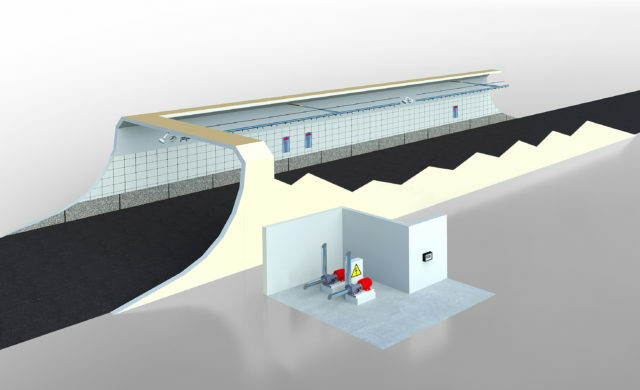 It was the tunnel owners’ consultancy company Rambøll, who found that the patented VID Fire-Kill Model TUNPROTEC was the perfect solution for this project. – Ensuring tenable environment for motorists and firefighters. – The system reduced water storage and drainage system with more than 75% compared to conventional sprinkler solutions. The two tunnel tubes where divided into 50 zones each of 25 m length, and each protected by one string of nozzle pipes located at the center of the tunnel ceiling. 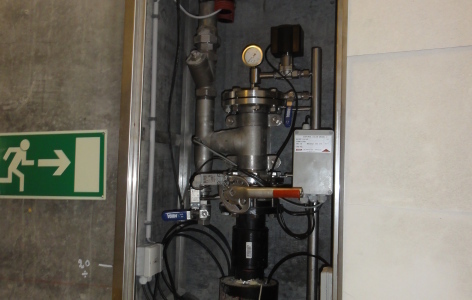 Each zone nozzle pipes was connected to a VID Fire-Kill Model C-EL deluge valve, which for this project was supplied in high alloy Stainless steel, SIL 3 solenoid and with a MTTFd value of 150 years.